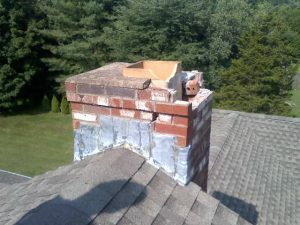 Creative Masonry & Chimney is your one-stop solution for all your needs for chimney cleaning, sweeping, and repair in Farmington, Connecticut. Our chimney cleaning, sweeping, and repair services ranges from chimney cleanings and inspections to masonry repairs and fireplace restoration. We are the leading Masonry, Fireplace, and Chimney Sweep Contractor in Farmington, Connecticut with a 5-star rating. We have more than three decades of craftsmanship experience and highly trained specialists for every job and we never send an unskilled technician for a job. 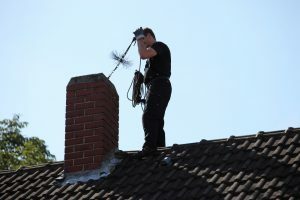 It is important to have your chimney cleaned, maintained and repaired on a regular basis. Any negligence in the maintenance of your chimney can become a health and safety hazard. An unkempt chimney can cause a house fire or other structural damages to your home that can be expensive to repair. It can also result in carbon monoxide poisoning that is extremely harmful to you and your family. At Creative Masonry & Chimney, we take all these chimney related health and safety risk very seriously. No job is too big or small for our expert technicians at Creative Masonry & Chimney. Chimney Rebuilding: If the damage caused to your chimney is not repairable, then we offer expert chimney rebuilding. 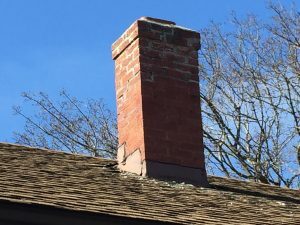 Chimney Caps: We can install a chimney cap to repair water leakage. Chimney Waterproofing: We also repair flashing and apply waterproofing sealant to the masonry. To ensure the complete satisfaction of our clients we offer outstanding customer services. For all your needs for chimney cleaning, sweeping and repair contact OSHA certified and licensed Creative Masonry & Chimney today.